The Society of Golfers at Aberdeen was founded in 1780. This was the forerunner of the Aberdeen Golf Club Est. 1815, and then the royal Aberdeen Golf Club in 1903. The two early clubs played over the Queens Links in Aberdeen, but the in 1888, due to consecration on the links, the Aberdeen Golf Club moved to Balgownie Links, where one of the country's most natural links courses was established. From the earliest days, club officials encouraged the top golfers of the time to come to play in Aberdeen, including tom Morris, Walter Hagen, Tony Lema, and Tom Watson, Greg Norman, to name but a few. Club Amenities, facilities and services include, 1 formal lounge, 1 informal bar/lounge, lockers, showers, changing rooms, pro shop. North side of the city, beyond mouth of river Don. Northbound on main road from Aberdeen, turn right at traffic lights, after the bridge (Links Road) fork left 50 yds further on. Information herein provided by the club 15 Feb 1999. Balgownie links course was designed by Simpson/Braid. The course runs essentially out and back along the North Sea Shore, the outward nine through some wonderful dune formation, the inland nine of the plateau. An excellent balance of holes, strong par 4's, tricky par 3's - with the 8th surrounded by 10 bunkers, being our signature hole; and tow classic par 5's. The ever changing wind, small screens na da very challenging finish makes Balgownie a test for every level of golfer. Bernard Darwin wrote :-' It represented a huge gap in my golfing education not to have played Balgownie until now. 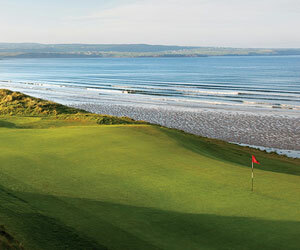 Much more than a good golf course - A Noble Links'. A parkland/ links course also designed by Simpson/Braid. A mixture of 9 old links and nine parkland holes. Really a secondary course, but very enjoyable. 8 par threes, the signature hole being the short 17th where one must not miss the XXXXXX on the right. Like a previous reviewer, I also work in the oil industry and have been based in Aberdeen for the last year. It's a fantastic course, they never stop working on it and everything they do on the course is first class. Lots of work carried out through the winter. The back 9 has been improved, one of the old par 4's has a new green and is now a challenging par 5. Not the cheapest course in the area but when the wind blows and the greens are quick it's really challenging. Well worth a visit. If you want the Aberdeen links experience but don't want to pay £80 or so, try Murcar next door. Working as I do in the oil industry in Aberdeen I have played Royal Aberdeen Balgownie on a few occasions off a handicap of 18. What all the other reviews fail to mention is the 'challenge' when playing in any sort of wind. Played it 4th September 2001 in 20 mile per hour winds and if you want a real challenge try it yourself in a similar wind. 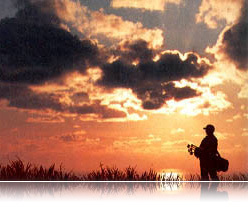 I am a junior member at R.A.G.C and often caddie the tourists around the course mentioned before. The Silverburn is really a course for the beginners among us and possibly for quick warm up before you tackle the main course. Played Royal Aberdeen this year and it was a great experience. The front tracks the North Sea (going Northward) and offers some truly great holes with tees overlooking the beach and some fierce gorse. Don't miss the fairway here . . . The back has some holes with blind tee shots and works its way to the clubhouse inland from the front 9. I would play it again, hear that it could be added to the Open rota if it were a tad longer. Quality golf and a class clubhouse - friendly folks on the staff and on the course.